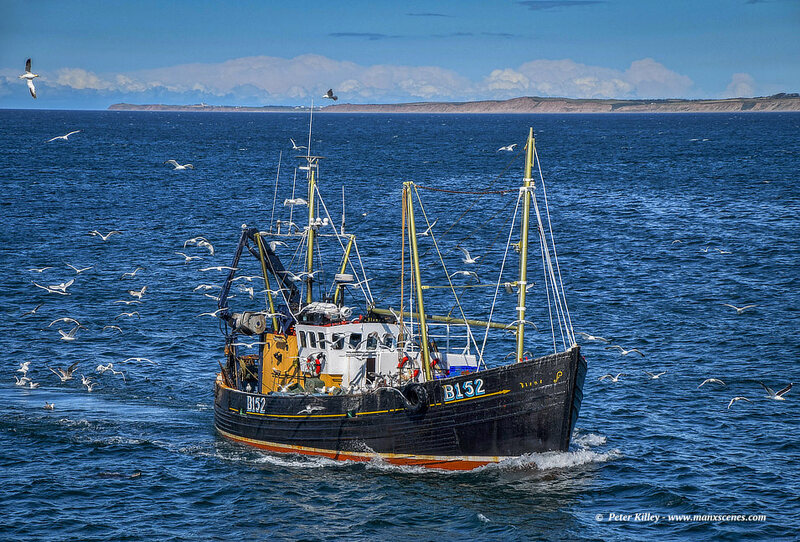 And Belfast registered fishing boat B152 ilene rounds Peel Breakwater to drop off her catch. It looks a lovely day. Is there much fishing still and can you buy fish from the boats? I don’t think you can buy via the boats Eleanor but Moore’s and Manx Sea Foods are around the corner. Moore’s kippers – my mouth is watering just at the thought of them…. My great grandpa, had fishing boats and lived in Peel. He was also a lifeboatman.